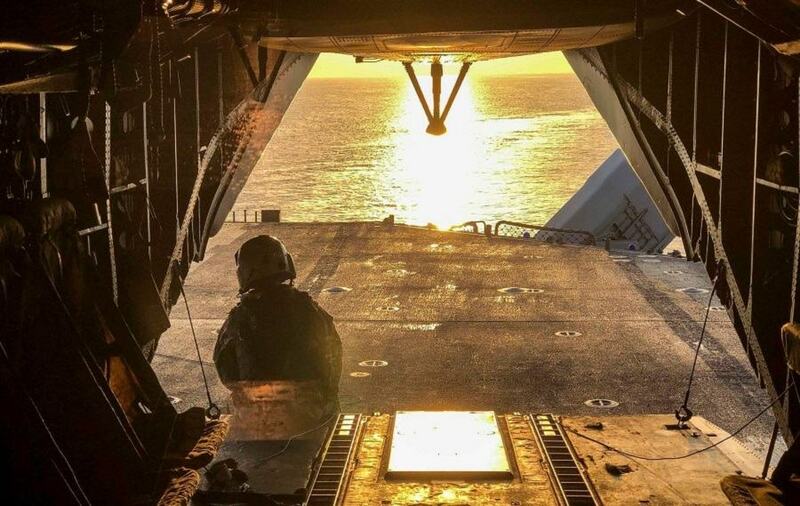 A deployed U.S. Marine observes the sunrise from the back of a CH-53E Super Stallion on the USS Kearsarge in the Gulf of Aden on March 29, 2019. Thank you to this brave Marine for serving our country overseas. Stay safe!